Very comfortable and I just love the way they shine!!! 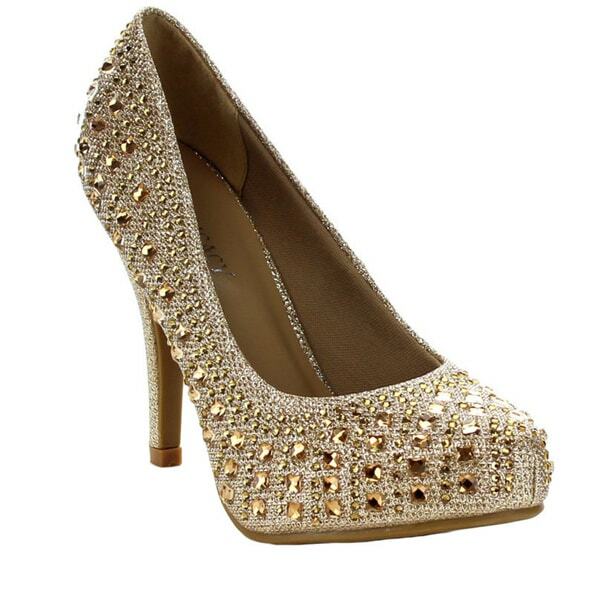 You will draw everyone's attention everytime when you wear thesemid heels sparkle pumps from beston. Featuring cork look mid-sole,memory foam insole, easy slip on style and studs embellishment. these are stunning shoes; more comfortable than I was expecting. I got them in black, with silver studding; gorgeous. They hurt my feet so bad. Don't buy. I had been looking for some gold glitter shoes for a while. These are really beautiful. These beauties should go with whatever outfit I want to glitz up. Top 5 Styles of High Heels from Overstock.com. Our guides provide customers with information about the top 5 styles of high heels. How to Clean Satin Heels from Overstock.com. Our guides provide customers with information about how to clean satin heels.